The Tibetan Plateau has long been seen as a "hotspot" for international environmental research, and there have been fears that water supplies in the major Asian rivers would drastically decline in the near future. However, new research now shows that water supplies will be stable and may even increase in the coming decades. A report by the International Panel on Climate Change (IPCC) from 2007suggests that the glaciers in the Himalayas will be gone by 2035. This statement was questioned and caused a great stir. "This mistaken claim and the subsequent debate pointed to a need for a better understanding of the dynamics of climate, glaciers and future water supplies in the region," says Deliang Chen, Professor in the Department of Earth Sciences at the University of Gothenburg. Since the statement by IPCC in 2007, the Tibetan Plateau has been a focus of international environmental research. The Tibetan Plateau is the highest and most extensive area of high land in the world, and what happens there affects water resources for almost a third of the world's population. "This is good news because social and economic development in the surrounding areas, including China, India, Nepal and other countries in Southeast Asia, are closely tied to climate change and access to water. 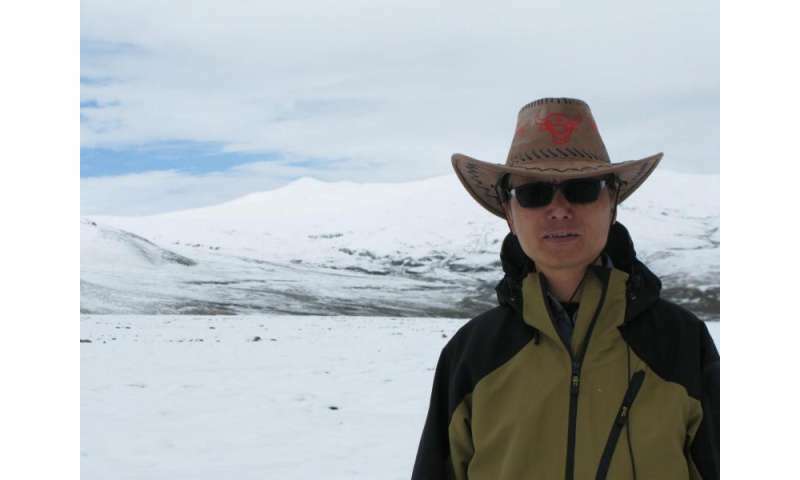 But the fact that the glaciers are shrinking in the region could be a concern in the longer term, and we must keep a close eye on what is happening with global warming," says Professor Deliang Chen. Because nobody in the science expects Himalayan glaciers to supply the many major rivers they supply, what does this mean>? Because the Himalayan glaciers are to 90% if not more are melting away, it increases river volume for so long then peaks, after that to reduce to well below normal volume flow, what does this mean? I posit it means more rain, not snow to supply glaciers by all metrics thus a vastly reduced freshwater supply globally the effect. In Lahakh farmers are using artificial glaciers that freeze fall water for spring melt to plant with. For about 6-7 years farmers there couldn't grow crops until a local engineer figured this out.